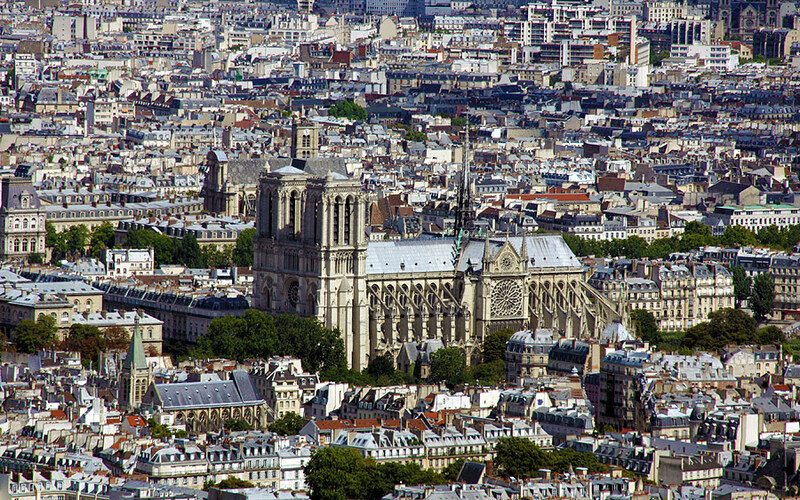 Unless you have been hiding under a rock for the last few days (or been buried in a chat forum) you have probably heard that the cathedral at Notre Dame caught fire and burned. The French president has vowed to rebuild the 850 year old church in 5 years, while more realistic estimates have placed the reconstruction at 10-15 years. Most of the roof timbers were from trees estimated to have been over 300 -400 years old when harvested 850 years ago, and there are no trees that big currently existing anywhere in Europe. Edited by fahrquad, 16 April 2019 - 05:34 PM. Although it is too early to say, I will assume most of the structural reconstruction work will consist of concrete and steel with stone veneer. The original structure took over 100 years to complete between 1160 and 1260. It has suffered damage and repair several times over the centuries. One feature that has always fascinated me were the flying buttresses, which were installed to keep the walls from spreading under the weight of the roof. They are one of the more distinctive architectural features of the building. Edited by fahrquad, 17 April 2019 - 06:37 AM. 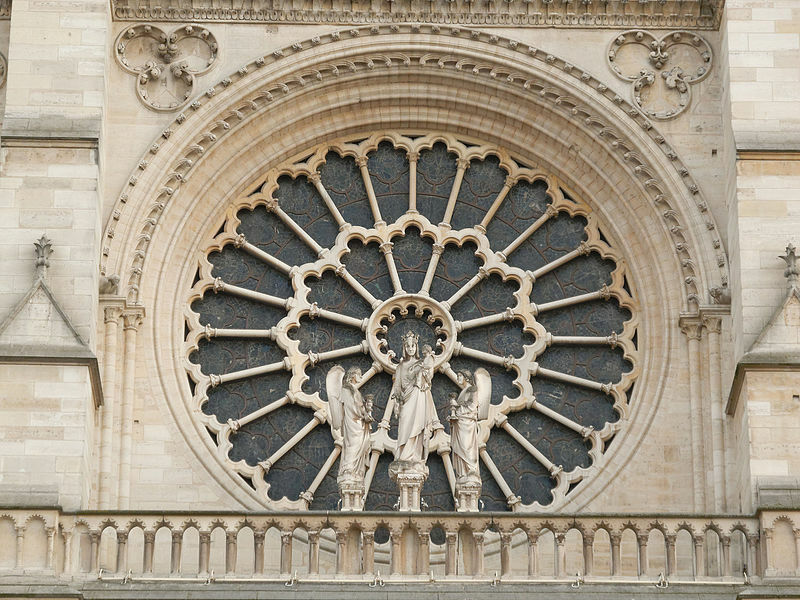 The Rose Windows allegedly survived undamaged. Hopefully the detailed stonework was unscathed. I don't suppose the pipe organ survived. That monster is going to be a beyotch to reconstruct. Good wide view of the site before the fire. I saw a report that said the pipe organ did survive. I hope that is right. Many priceless and irreplaceable wood carvings were turned to charcoal. A real shame. A lot of history gone. 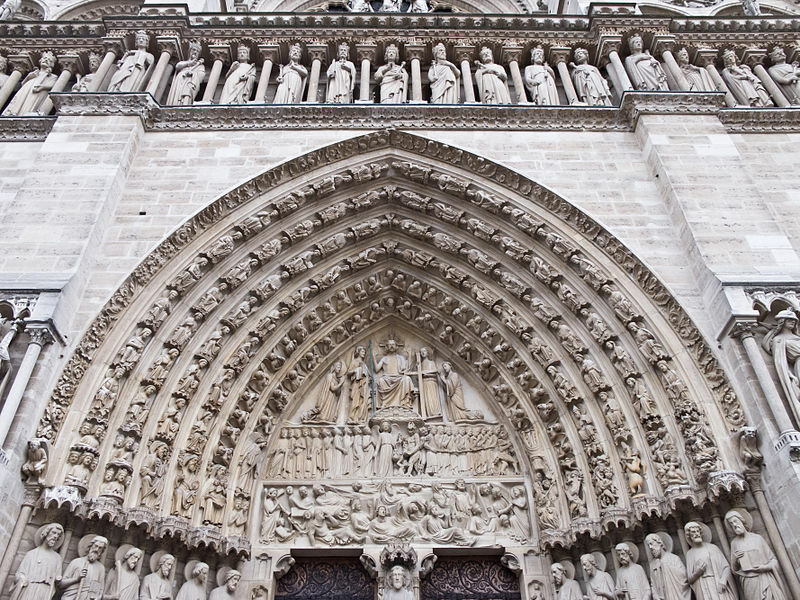 The original structure took over 100 years to complete between 1160 and 1260. It has suffered damage and repair several times over the centuries. One feature that has always fascinated me were the flying buttresses, which were installed to keep the walls from spreading under the weight of the roof. They are one of the more distinctive architectural features of the building but were a quick fix during the construction. No, they were not a "quick fix". "The advantage of such lateral-support systems is that the outer walls do not have to be massive and heavy in order to resist the lateral-force thrusts of the vault. Instead, the wall surface could be reduced (allowing for larger windows, glazed with stained glass), because the vertical mass is concentrated onto external buttresses. 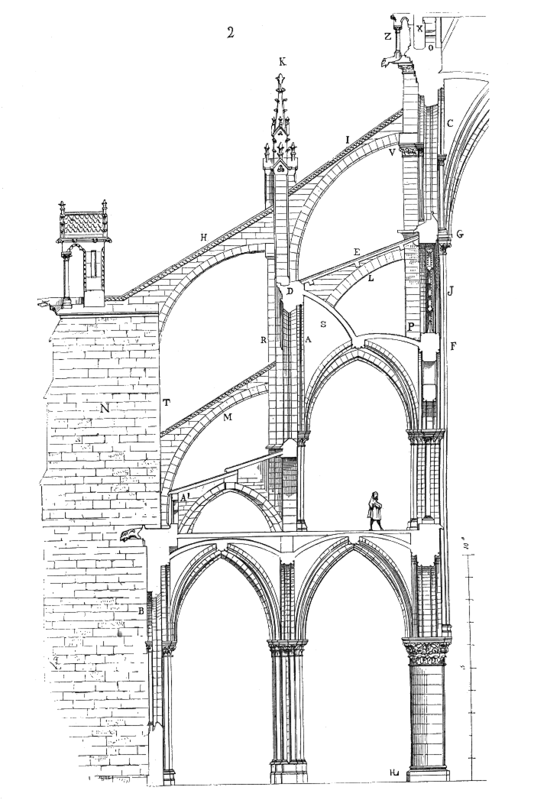 The design of early flying buttresses tended to be heavier than required for the static loads to be borne, e.g. the Chartres Cathedral (ca. 1210), and around the apse of the Saint Remi Basilica, which is an extant, early example in its original form (ca. 1170). Later architects progressively refined the design of the flying buttress, and narrowed the flyers, some of which were constructed with one thickness of voussoir (wedge brick) with a capping stone atop, e.g. the Amiens Cathedral, the Le Mans Cathedral, and the Beauvais Cathedral. Edited by exchemist, 17 April 2019 - 03:29 AM. Mistake corrected. Obviously an inaccurate statement on my part. Thanks for catching that. Edited by fahrquad, 17 April 2019 - 06:38 AM. Yes, they were a very clever invention, allowing structures of huge height and delicacy to be constructed entirely of stone (no reinforced steel joists in those days) with the absolute minimum of stone needed. I am always amazed how models of them look almost as if made of lace. And they have almost all stayed up for over 800 years. Though there was one, at Beauvais, that overreached, aiming to be the highest in Europe and which partially collapsed and had to be rebuilt with more columns. They pushed the edge of the envelope a bit too far with that one. Faux Snooze has suggested that the fire started around the spire that has been undergoing restorations. 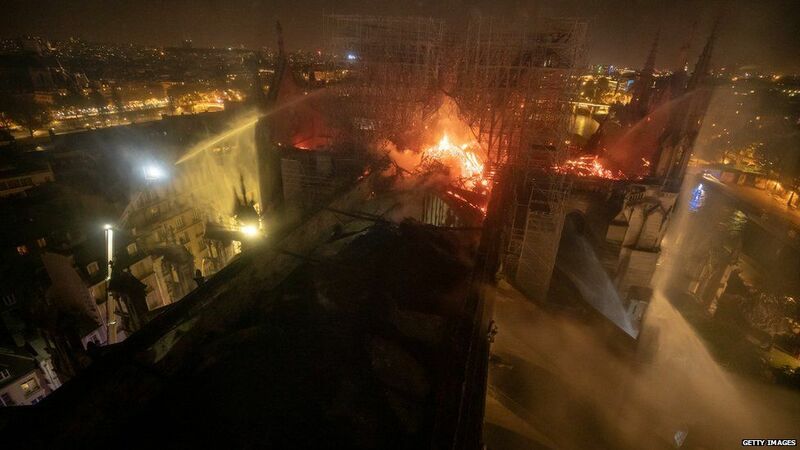 "The blaze collapsed the cathedral's spire, which had been shrouded in scaffolding as part of a 6 million-euro ($6.8 million) renovation project on the spire and its 250 tons of lead. French media quoted the Paris fire brigade as saying the fire was "potentially linked" to that construction. As the spire fell, the sky lit up orange and flames shot out of the roof behind the nave of the cathedral, among the most visited landmarks in the world. Hundreds of people lined up bridges around the island that houses the church, watching in shock as acrid smoke rose in plumes"
Edited by fahrquad, Yesterday, 10:39 PM. How appropriate. The spire, I learn, was something bolted on in the c.19th, by that serial vandal of fine Gothic French churches, Violet le Duc. So it is not a great loss. I gather there is a now a competition to design a successor to it - a reminder that these churches are not static but tend to change by destruction and accretion over the centuries. Of course, this is not limited only to churches. "Buddhism declares that in this world there is nothing that is fixed and permanent. Every thing is subject to change and alteration. "Decay is inherent in all component things," declared the Buddha and his followers accepted that existence was a flux, and a continuous becoming. The concept of impermanence and continuous becoming is central to early Buddhist teachings. It is by becoming aware of it, by observing it and by understanding it, one can find a suitable remedy for the sorrow of human life and achieve liberation from the process of anicca or impermanence." It is ironic that the Dhamek Stupa, the oldest known Buddhist temple, was built around 500 AD (or CE for the politically correct). Edited by fahrquad, Today, 07:25 AM. That lawn is making me green with envy. My Emerald Zoysia is just now starting to come out of dormancy.